Rejuvenate your skin appearance, structure using Dual Action Technics – Red LED Light and Topical Heating Care. LED light therapy uses a combination of both red light and infrared light to promote healthy skin. It lifts and tightens the skin while combats premature aging. This new technology helps uneven skin tones and reduces inflammation in the skin. The infrared light penetrates up to 40mm deep in the dermis skin layer to repair collagen while the red light erases signs of aging 10mm down in the epidermis layer. Red-light therapy is a non-invasive therapy that signals the body to naturally convert light energy into cell energy without causing discomfort or damage to each of the layers of skin. The thermal heat generated by probes enhances blood circulation, increases cell metabolism, and activates enzymes. Red light therapy is safe for all. 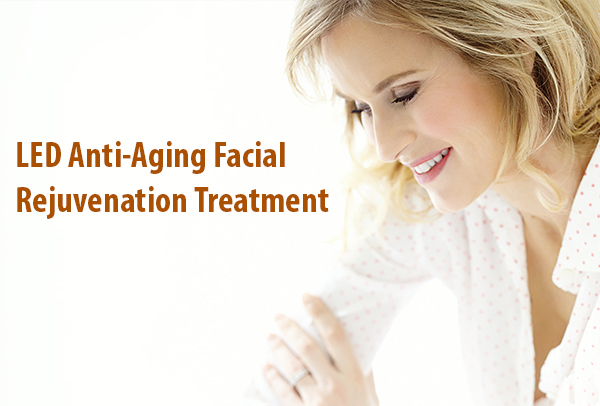 LED Anti-Aging Facial Rejuvenation Treatment is now available at all Origani Malaysia Branches for only RM500.00. Book yours now.